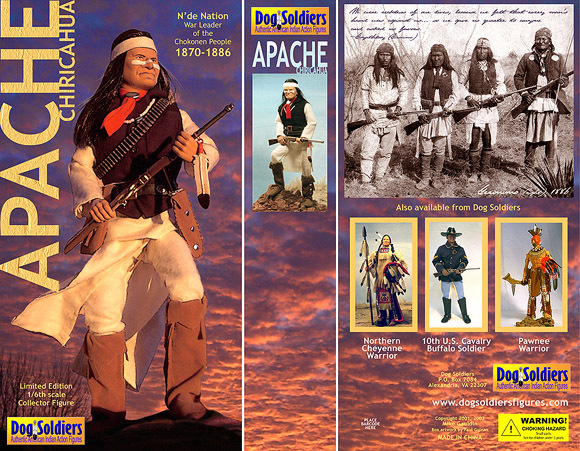 Box artwork for a line of Native American 12" action figures by Dog Soldiers. 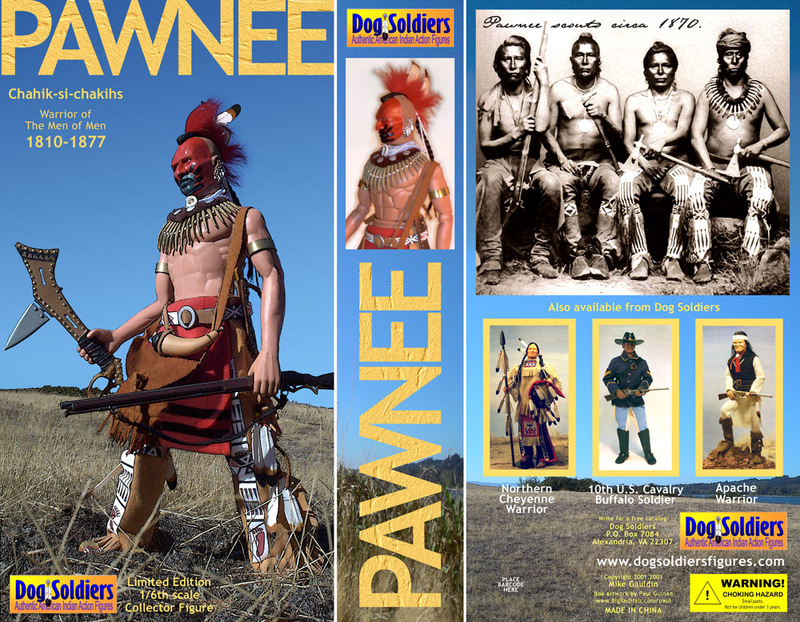 This project combined Paul's skills in design, photography, and illustration. 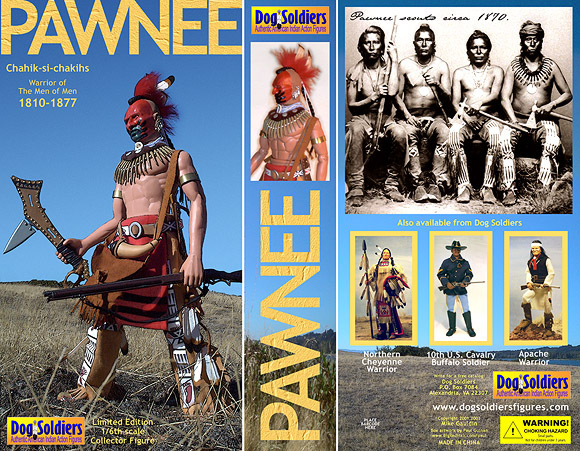 Click on each box for larger images.